Milan Fashion Week is amazing so far! 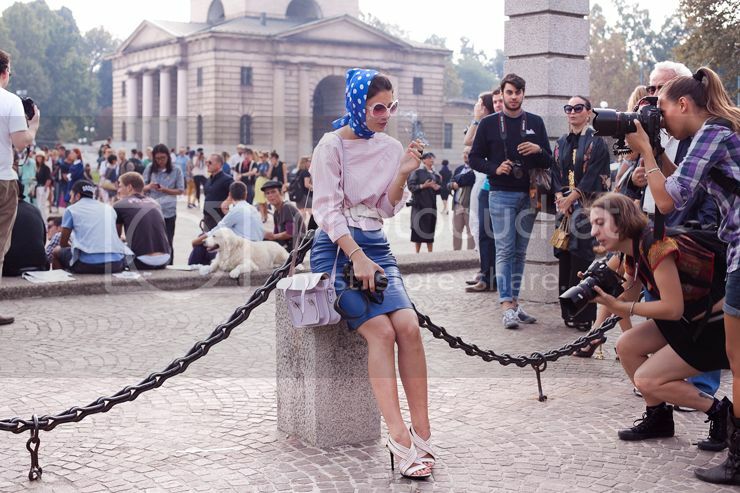 It seems like the whole City is one big runway, high heels, clutches, lush embellishments, statement colors and even more so Street Style photographers! The scenery plays itself like a painting or a theater play where hectic crowds of photographers circle and swarm their prey for those perfect captures, it is these photos of the street style scenery itself that I like so much and capture that Fashion Week feel.